Romulus and Remus myths aside, how did Rome begin? What were the causes of its success? How did normal people live and what was normal life like beyond the dramatic stories of emperors and gladiators? 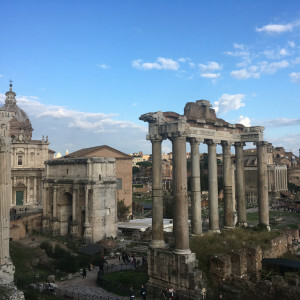 These are the questions we try to answer—and many more—in the course of this daily life in ancient Rome tour, which visits the Foro Boario (cow market), Tiber Island, and several Republican-era temples. 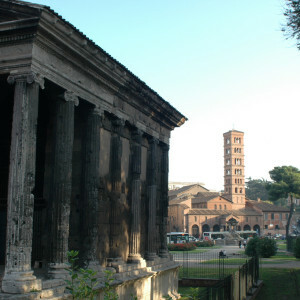 Led by a classical historian, archaeologist or other scholar of antiquity, this walk takes us beyond the Roman Forum, Colosseum, and other "big name" monuments in Rome to discover an array of less-well-known ancient ruins not normally included in a typical tourist itinerary, but all the more amazing, unique, and critical to understanding Rome and her history. 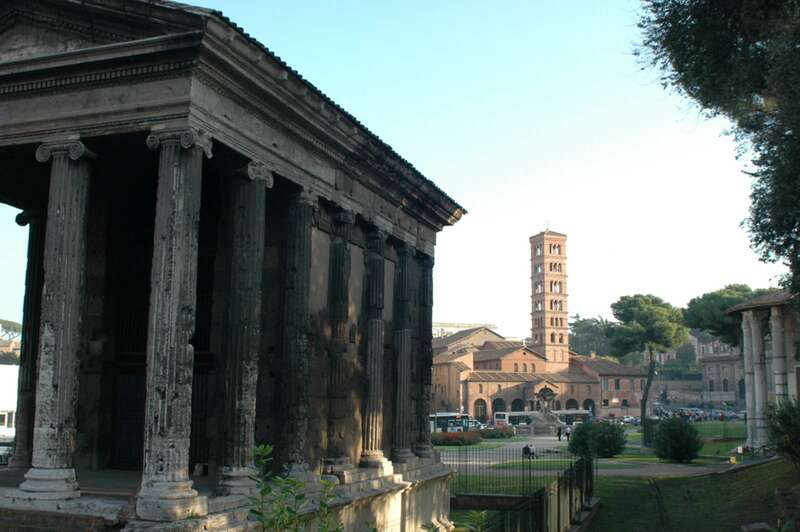 We begin in the Foro Boario, or cow market, of ancient Rome, located along the Tiber River, where we can discuss the importance of the river as a source of trade and the importance of trade to the development of Roman civilization. Although central, this is an area of the city that few people explore. However, it is filled with a tremendous wealth of ancient sites, including over 15 different temples. We'll take the opportunity of being in a less-touristy part of ancient Rome to draw on our docent's wealth of knowledge to have her paint a detailed portrait of Rome's of social and economic life during antiquity. 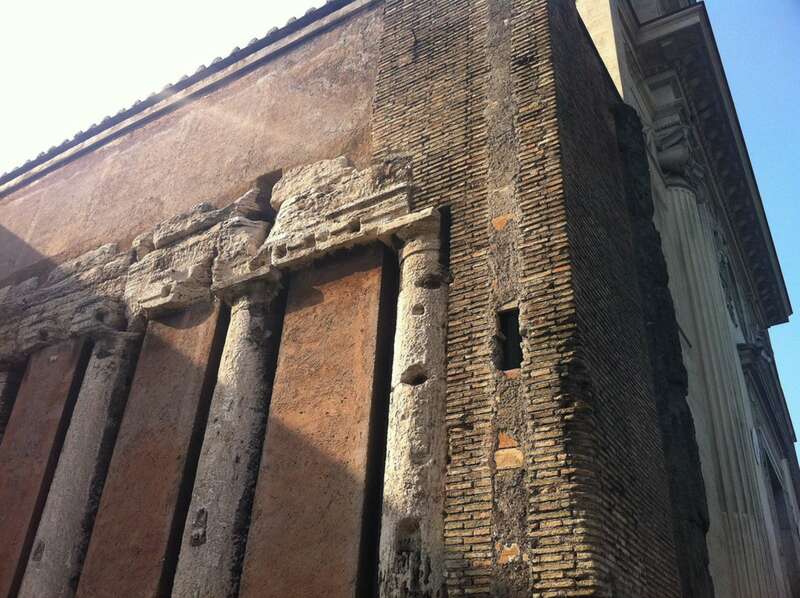 Nearby we'll find several of the oldest structures in Rome, some Republican-era temples as well as the Cloaca Maxima, the great drain (sewer) of ancient Rome. We'll find some comfortable shade and talk about the endeavor of temple building and the role of temples in everyday life. Although it may seem strange, we'll talk extensively about the sewer, arguably one of the most important things ever built in Rome—at least in terms of daily life—and still in use today! We'll eventually wind our way across the Tiber River to view the Ponte Rotto, or broken bridge, one of the oldest bridges in the world and filled with vivid stories. 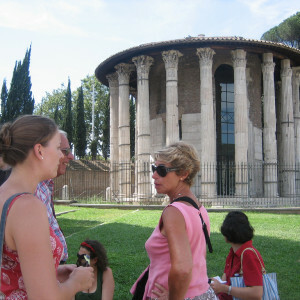 Our program will finish on the Tiber Island, a fantastic place to find lunch or dinner. One of the hallmarks of this walk is the wide range of different sites visited. During our time together we'll visit an important early building complex from the Republican era, one of Rome's few surviving quadrifons arches, a circus racetrack, a 2000-year-old bridge, and several temples absorbed by medieval churches over the centuries. It's a bit mix-and-match, but we'll tie it all together to provide a clear picture of what it would have been like during antiquity to live in the greatest city on earth. Our exact itinerary will vary from day to day, depending on the specialization of our docent and the interests of the group. Often our conversation will center on daily life during antiquity, the evolution of the city from a small trading settlement along the Tiber to the capital of the world, the role of religion and cults, the palimpsestic urban layers that are unique to Rome, or architectural and engineering innovations. 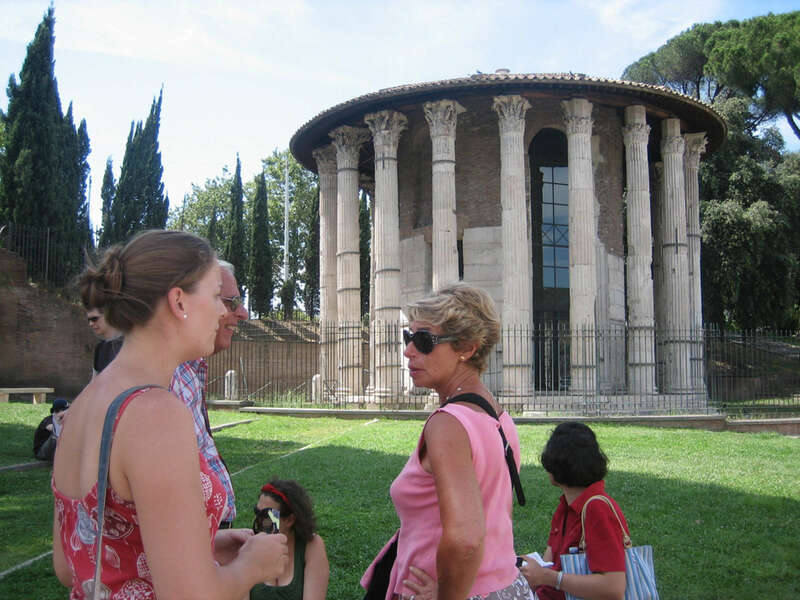 This is certainly a walking tour that will interest return visitors who have a distinct interest in Ancient Rome and want to find out about daily life in Roman times. 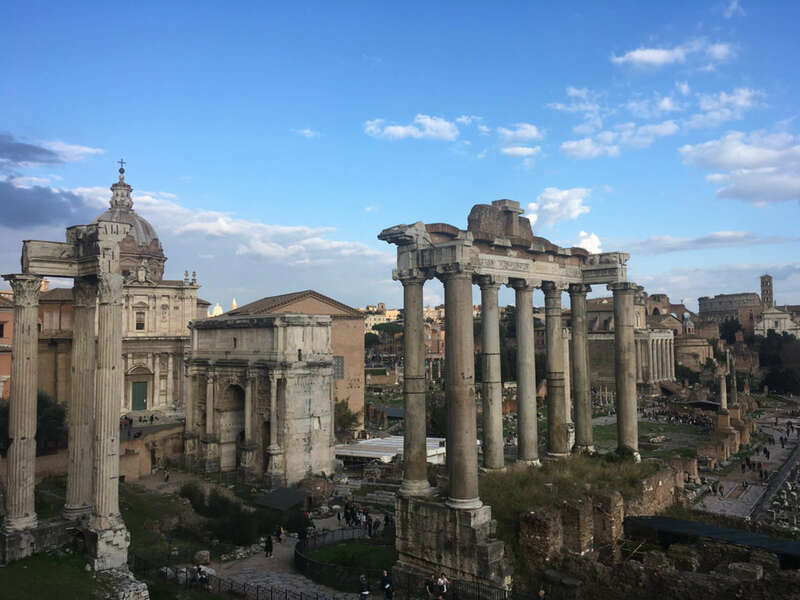 But, at the same time it is designed to be accessible for any traveler who wants to dig a little deeper, get away from the crowds, and engage in a fascinating discussion about ancient Rome. It provides a fantastic counterpoint to either our Colosseum Tour or our Caesar and Empire Walking Tour of Rome. Tom came to Rome on a Fulbright Fellowship in 1991 after completing his architectural studies at Harvard. 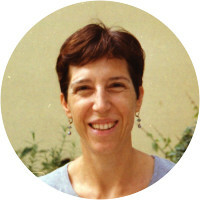 Tom was the founder of Scala Reale, an association of scholars leading small-group study walks that was acquired by Context in 2004. Currently Tom is dedicating himself to the fields of cultural and environmental sustainability, architecture and design through his teaching and his design firm TRA_20. 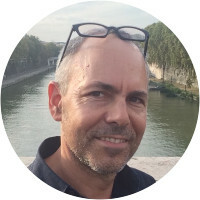 He is the author of the book Rome Works: An Architect Explores the World’s Most Resilient City, and the editor of the Still Sustainable City blog sustainablerome.net which was chosen by Guardian Cities as Italy's best city blog. I loved that you sent me the location on the map. Easy to find our starting point. 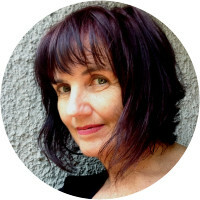 Liz was incredibly knowledgeable and warm and enthusiastic about the city and its past. Being a small group allowed us to ask questions and get answers easily. Laurie was great! Knowledgeable and thoughtful of the group. First 2 hours were excellent, last hour waned a bit as we got caught up in trying to please the group interests and not getting seeing as much as we could of. Please don’t get me wrong, we would do another tour in a second with Laurie and Context. it was a great tour...albeit it is was a bit different from what was advertised. 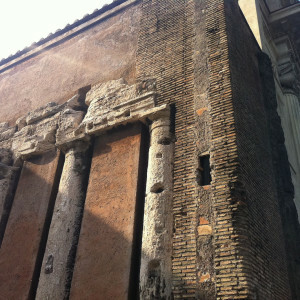 Felt we spent more time on temples and the like versus "the daily life of an average Roman". All good, just different from what we expected. Janet was great and fielded all of our questions well.